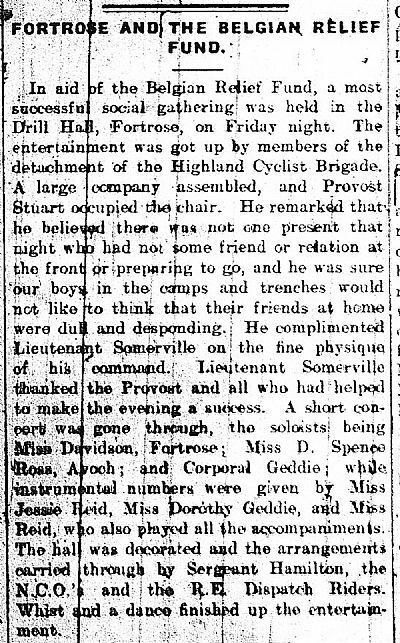 Detachments of the Highland Cyclist Battalion (HCB) were quartered at the Black Isle Combination Poorhouse, Fortrose, throughout the war. Their duties were patrol and topographical surveys. Locally, they also trained the volunteer force. The clubhouse of the Fortrose and Rosemarkie Golf Club was used as a guard house. 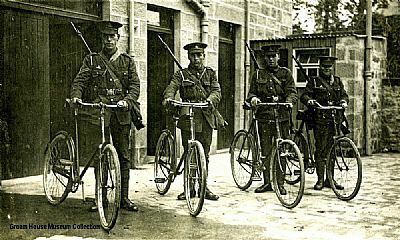 Cyclist battalions were “Mounted Troops”. Each soldier and bicycle formed a one-person fighting unit carrying full equipment and rations.